101 minutes. That’s all it took for Roger Federer to complete his unprecedented 8th Wimbledon title and record-setting 19th Grand Slam. 23 Winners, 8 Aces, only 8 games dropped. Perhaps the most memorable moment came just after he nailed an ace to win the last point; he sat in his chair, looked up to his family and cried. He is human after all. How does a humble kid from Switzerland continue to do the impossible and dominate world tennis, 19 years after he first won the Wimbledon boys’ singles and doubles titles? What is the secret behind his relentless success? Jeff Olsen, Author of The Slight Edge proposes that quantum leaps in success are not due to luck or inherent skill, but are the products of simple daily disciplines, repeated consistently over time. 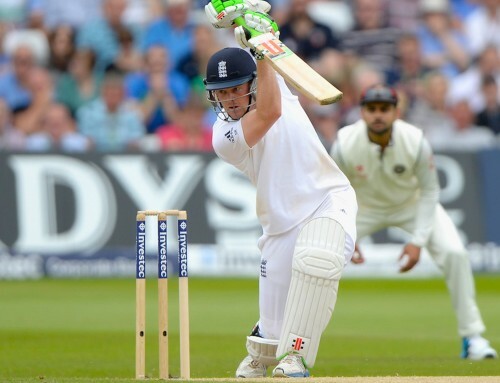 A concept that fascinates me is how cricketers can move in and out of ‘form’ so frequently. One of the major frustrations in my own game was how I could go from performing very well to very poorly a number of times in a season. After reviewing both my results and the processes behind my results I discovered that as I started to build some good momentum, I stopped doing those same actions that had been crucial to my success in the first place! The good news is that if you can get from failure to survival, you already know how to do everything it takes to get from the survival line to incredible success – you just have to keep doing it! You don’t have to be born with outrageous natural talent or do some ground-breaking, impossible thing. All you have to do is keep doing the things that got you this far. Which is exactly what 99% of people don’t do. What exactly are these actions that move us upward on the curve? They are the things you do every single day, the things that don’t look dramatic, that don’t even look important, but they are important. They not only make a difference—they make all the difference. Things like sticking to your nutrition plan, stretching after training, meditation, reading a book or listening to a podcast rather than binge watching TV shows or having that extra serving of dessert. If these simple daily disciplines are so easy to do and will lead to quantum leaps in success, why is it that everyone doesn’t do them? It’s because they are also easy not to do. Your life is not going to be drastically different if you wake up tomorrow morning and do 10 minutes of a mindfulness practise, or if you choose to hit the snooze button and have an extra 10 minutes sleep. As shown in the graph above, there is not much difference between the two choices early on. However, these actions compounded over time will eventually lead you on the upward or downward curve of success. No success is instant and no failure is sudden. The term “quantum leap” comes from particle physics, where it does not refer to a huge, epic jump. It refers to the fact that energy, after a period will suddenly appear at another level, without us being able to observe how it got there. There are two types of habits – those that move you forward, and those that don’t. Blaming and complaining can become a habit, so can taking responsibility and showing gratitude. Your habits come from your daily activities compounded over time, and your activities are the direct the result of the choices you make in the present moment. Your choices are largely determined by how you have programmed your subconscious mind – the automatic pilot that absorbs and stores all the information from your environment. Therefore, surrounding yourself with anything that encourages you to be better makes all the difference. Simple acts such as reading 10 pages of a life-changing book, engaging with mentors and teammates that support you, and following some inspirational leaders on social media can create the slight edge you need to make positive choices over and over again. Throughout my journey, trusting in the power of these simple daily disciplines has allowed me to have the success that I’ve been able to achieve so far. Some of the amazing experiences I’ve had include travelling to England to play cricket, winning multiple grade cricket finals on the WACA and most importantly, meeting some incredible people along the way. Unfortunately, the journey to achieving your goals is not going to be a straight line. The reality is that we will all go through many highs and lows, and the bigger your dream, the harder it will be. I’ve been in and out of squads more times than I can remember. I’ve been through the ups and downs of gruelling pre-seasons only to sit on the sidelines and watch my teammates play in some of the most exciting competitions in women’s cricket. I’ve had the best season of my life, only be brought back down to earth with a bang. The biggest lesson from the last few years is that tomorrow is a new day and all I can do is focus on controlling what I can. That is the only way to make myself a better and more resilient person and cricketer. While it can be hard to remain positive and trust myself when things aren’t going my way, I know that it is THE best frame of mind for me to adopt and give my energy to. Patience is confidence. Confidence that you already have what it takes to reach your goals, you just need to continue to show up and enjoy the process. Difficult takes time. Impossible just takes a little longer. About the writer: Bhavi is a semi-professional cricketer who has represented the Western Australian Women’s team since 2011 and spent the 2016 season coaching and playing County Cricket for Gloucestershire in the UK. 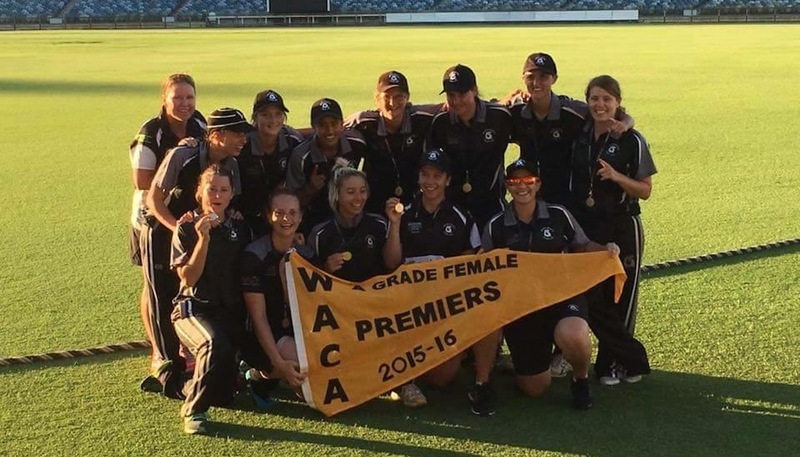 In addition to her experience at a rep level, Bhavi’s played over 100 games in the WACA Women’s A grade competition. Bhavi has had the opportunity to play with and learn from the best cricketers in the world including former Australian captain and coach Lisa Keightley, New Zealand captain Suzie Bates and England legend Charlotte Edwards.